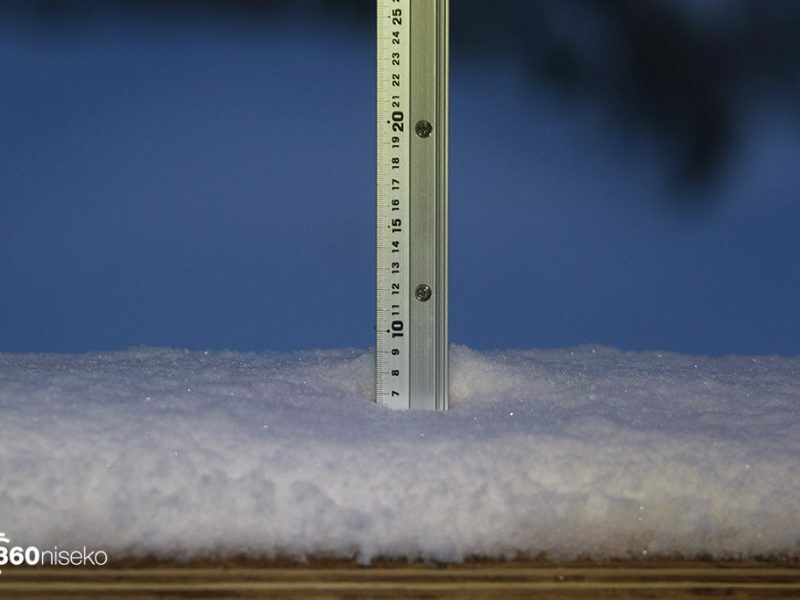 *7.5cm has fallen in the last 24 hours in Niseko. At 6:18 am today the temperature was -8.6 °C. The dumpage of the past few days has eased and a pretty warm front bowled through the region yesterday after a pretty epic start and the snow became damp and heavy not quite the glug we had to deal with last year and by normal standards it was pretty epic but by the Niseko playbook it was a little heavy. This morning temps are back down and it looks like a mostly clear day early on, the snow looks set to kick in again after lunch and we should experience on and off snow for the rest of the week. Amazing morning to be alive so get on out there! For an update on what lifts are operating head over here Niseko United Lift Status. 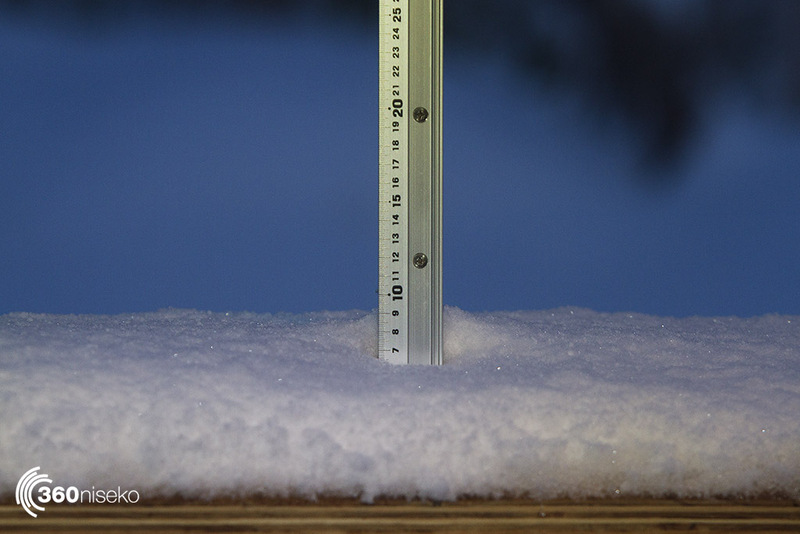 Above: 7.5cms on the powder clock this morning.